1. Дашьян В.Г., Годков И.М., Кортикова А.Н. Эндоскопическая хирургия внутричерепных гипертензивных кровоизлияний // Нейрохирургия. - 2014. - № 1. - С. 118-125. 2. Дашьян В.Г., Мурашко А. А., Коршикова А.Н., Крылов В.В. Метод видеоэндоскопии в хирургии геморрагического инсульта // Нейрохирургия. - 2012. - № 2. - С. 17-26. 3. Крылов В.В., Буров С.А., Галанкина И.Е., Дашьян В.Г. Локальный фибринолиз в хирургии внутричерепных кровоизлияний // Нейрохирургия. - 2006. - № 3. - С. 4-12. 4. Крылов В.В., Дашьян В.Г., Буров С.А., Петриков С.С. Хирургия геморрагического инсульта. - М.: ОАО «Издательство «Медицина», 2012. 5. Auer L., Deinsberger W., Niederkorn K. et al. Endoscopic surgery versus medical treatment for spontaneous intracerebral hematoma: a randomized study // J Neurosurg. - 1989. - Vol.70. - P. 530-535. 6. Bluensuceso A. Predictors of mortality based on CT scan findings of patient admitted due to hypertensive intracerebral hemorrhage at the Philippine heart center // Phil Heart Center J. - 2007. - Vol.13(2). - P. 155-160. 7. Broderick J., Adams H., Barsan W. et al. A Statement for Healthcare Professionals From a Special Writing Group of the Stroke Council, American Heart Association // Stroke. - 1999. - Vol.30. - P. 905-915. 8. Broderick J.P., Brott T.G., Duldner J.E., Tomsick T., Huster G. Volume of intracerebral hemorrhage. A powerful and easy-to-use predictor of 30-day mortality // Stroke. - 1993. - Vol.24. - P. 987-993. 9. Cho D., Chen C., Lee W., Lee H., Ho L. A new Modified Intracerebral Hemorrhage score for treatment decisions in basal ganglia hemorrhage-- a randomized trial // Crit Care Med. - 2008. - P.36(7). - P. 2151-2156. 10. Hirano H., Yokoyama S., Asakura T. Outcome evaluation in putaminal hemorrhage by multiple regression analysis // No Shinkei Geka. - 1994. - Vol.22(12). - P. 1135-1140. 11. Kaya R., Tokmenoрlu O., Ziyal I. et al. The effects on prognosis of surgical treatment of hypertensive putaminal hematomas through transsylvian transinsular approach // Surgical Neurology. - 2003. - Vol. 59(3). - P. 176-183. 12. Krishnan P., Mohanty N., Sekhar S., Evaluation of Relationship Between Volume of Intracerebral Bleed with Mortality Rate: A Hospital Based Study // International Journal of Research in Pharmaceutical and Biomedical Sciences. - 2013. - Vol.4(1). - P.100-105. 13. Liu C., Chu N., Ryu S. CT, somatosensory and brainstem auditory evoked potentials in the early prediction of functional outcome in putaminal hemorrhage // Acta Neurol Scand. - 1991. - Vol. 84(1). P. 28-32. 14. Mizukami M., Nishijima M., Kin H. Computed tomographic findings of good prognosis for hemiplegia in hypertensive putaminal hemorrhage // Stroke. - 1981. - Vol.12. - P. 648-652. 15. Morgenstern L., Hemphill J., Anderson C. et al. Guidelines for the Management of Spontaneous Intracerebral Hemorrhage. A Guideline for Healthcare Professionals From the American Heart Association/American Stroke Association // Stroke. - 2010. - Vol.41.-P 2108-2129. 16. Murthy J., Chowdary G., Murthy T., Bhasha P., Naryanan T. Decompressive craniectomy with clot evacuation in large hemispheric hypertensive intracerebral hemorrhage // Neurocrit Care. - 2005. - Vol.2(3). - P. 258-262. 17. Nag C., Das K., Ghosh M., Khandakar M.R. Prediction of clinical outcome in acute hemorrhagic stroke from a single CT scan on admission // North American Journal of medical sciences. - 2012. - Vol.4(10). - P. 463-467. 18. Nagaratnam et al., Putaminal Hemorrhage and Outcome // Neurorehabil Neural Repair. - 2001. - Vol.15: 1: 51. 19. Ramnarayan R., Anto D., Anilkumar T., Nayar R. Decompressive Hemicraniectomy in Large Putaminal Hematomas: An Indian Experience // Journal of Stroke and Cerebrovascular Diseases. - 2009. - Vol.18(1). - P. 1-10. 20. Takeuchi S., Takasato Y., Masaoka H., et al. Decompressive craniectomy with hematoma evacuation for large hemispheric hypertensive intracerebral hemorrhage. Acta Neurochir Suppl. - 2013. - Vol.118. - P. 277-279. 21. Talacchi A., Ricci U., Caramia G., Massimo G. Basal ganglia haemorrhages: efficacy and limits of different surgical strategies // British Journal of Neurosurgery. - 2011. - Vol. 25(2). - P. 235-242. 22. Shokouhi G., Farhoudi M., Afrough A., Hamdi A. Prediction of spontaneous intracerebral hemorrhages outcome // Research Journal of biological sciences. - 2009. - Vol.4(1). - P. 7-10. 23. Shin D., Yoon S., Kim S., Shim J., Bae H. Open Surgical Evacuation of Spontaneous Putaminal Hematomas: Prognostic Factors and Comparison of Outcomes between Transsylvian and Transcortical Approaches // Journal of Korean Neurosurgical Society. - 2008. - Vol. 44(1). - P. 1-7. 24. Zan X., Li H., Liu W. et al. Endoscopic surgery versus conservative treatment for the moderate-volume hematoma in spontaneous basal ganglia hemorrhage (ECMOH): study protocol for a randomized controlledtrial // BMC Neurol. - 2012. - Vol.7. - P. 12-34. 25. Zhang H., Xue S., Li P.J., Fu Y.B., Xu R.X. Treatment of huge hypertensive putaminal hemorrhage by surgery and cerebrospinal fluid drainage. Clin Neurol Neurosurg // 2013. - Vol.115(9). - P. 1602-8. 26. Zhang Y., Ding W., Yang Y. et al. Effects of transsylvian-transinsular approach to hypertensive putaminal hematoma operation and electroacupuncture on motor recovery // J Craniofac Surg. - 2011. - Vol.22(5). - P. 1626-1630. 27. Zheng J., Li H., Guo R. et al. Minimally invasive surgery treatment for the patients with spontaneous supratentorial intracerebral hemorrhage (MISTICH): protocol of a multi-center randomized controlled trial // BMC Neurol. - 2014. - Vol.10. - P. 206. 28. Wang G., Li S., Huang Y. et al. Can minimally invasive puncture and drainage for hypertensive spontaneous Basal Ganglia intracerebral hemorrhage improve patient outcome: a prospective non-randomized comparative study // Military Medical Research. - Vol.2014. - 1:10. 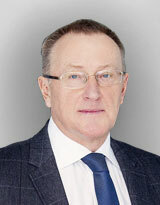 Никитин А.С., Асратян С.А. Пункционная аспирация в хирургии геморрагического инсульта путаменальной локализации. Нейрохирургия. 2015;(4):45-49.